I've been in love with trench coats for some time now. I need to get my hands on a new one. I'm all for having a few basics and staple pieces in my wardrobe for those days I can't be bothered thinking too much about what to put on or if I'm in a rush. This is my ideal basic look for those days. It looks well put together and perfect for day or night. I love all of these pieces! That purse is gorgeous, and that watch is awesome! 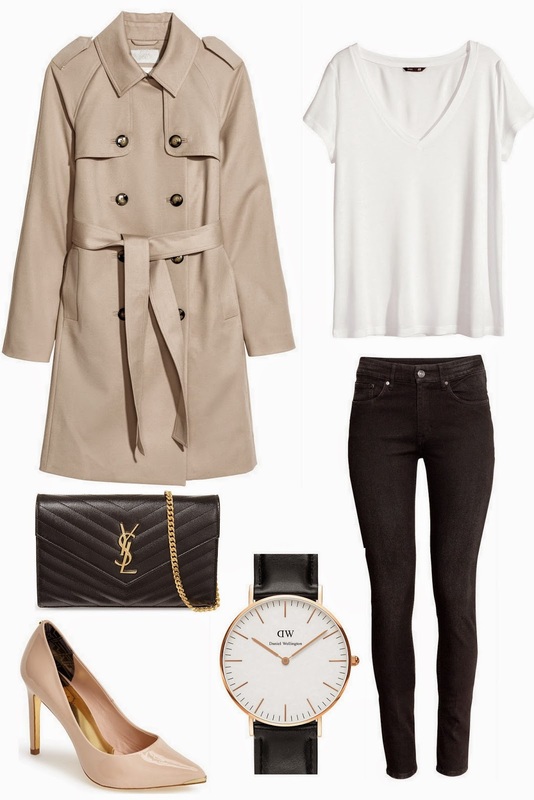 I love a classic trench! They make an outfit.